okia has announced a Near Field Communication phone during the WIMA conference in Monaco; the Nokia 6216 Classic. The 6216 Classic also supports NFC SIM-cards. Thanks to the support of NFC based SIM-cards it is also possible for operators to build in NFC services on their own SIM-cards, for instance to make payments. Moreover, files like images, internet links, audio files and contact information can be send easily. "The Nokia 6216 Classic is one of the first phones in the market that can deal with NFC SIM-cards and payments that come with it,", sais Jeremy Belostock, director of Near Field Communications at Nokia. “With the Nokia 6216 Classic in your pocket and NFC-software on your SIM-card it is possible to replace all your debit cards in your wallet..."
It is possible to store your creditcard information on your SIM-card and pay by using your phone and holding it in front of a receiver. But besides NFC the 6216 Classic has more features and trics. The device has a stereo FM receiver, digital 2.0 megapixel camera, music player, 3G support and a MicroSD memorycard that works with memory cards up till 8 GB. 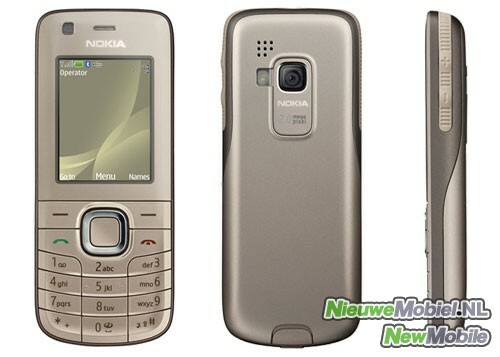 The Nokia 6216 Classic is expected to be announced in the third quarter of this year and gets available in the colour Coco Pearl. The price is approximately 150 Euro. Besides the 6216 Classic Nokia has also other devices in their assortment that support NFC; the Nokia 6212 Classic and the Nokia 6131 NFC.